"But what am I going to do with my hair?!" We have all said this with varying degrees of panic in our voices. 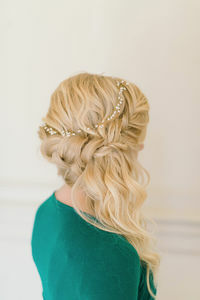 Have no fear we have 20 hairstyles you'll love + hair and makeup tips from Hair & Makeup by Steph. A workshop put on by Adorne Artistry, taught stylists some of today's trendiest wedding hairstyles that are sure to wow their clients! You may not have been on the guest list, but you can still get an inside peek at all the styles photographed by Sarah McKenzie Photography as well as find some juicy tips! 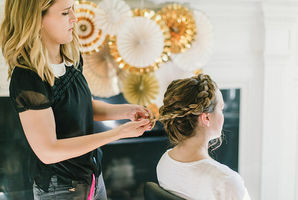 Steph of Hair & Makeup by Steph combines classic, vintage, braided, and high-fashion elements to style today's modern bride. Learning her approach to present the freshest and most wearable (and want-able!) bridal styles for our clients was a dream! 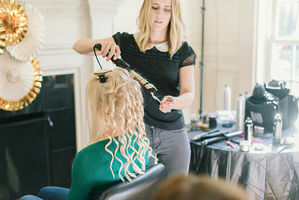 Steph helped us master techniques in creating vintage waves, soft updos for short hair, the perfect messy top knot, gorgeous thick crown braids, coveted beach waves, and gave us new ideas on incorporating different braids and twists into styles to keep them anything but ordinary! This is a classic chignon with a little vintage flare. The way the hair is curled and how it's pinned gives it more of a classic feel. This is a fishtail braid down the side, with a regular french braid across the back, that meet on the side and cascade into beach waves. This style starts with some boho waves, and then one continuous braid goes around the head, making it flattering from every angle. This is a classic curly wedding updo. 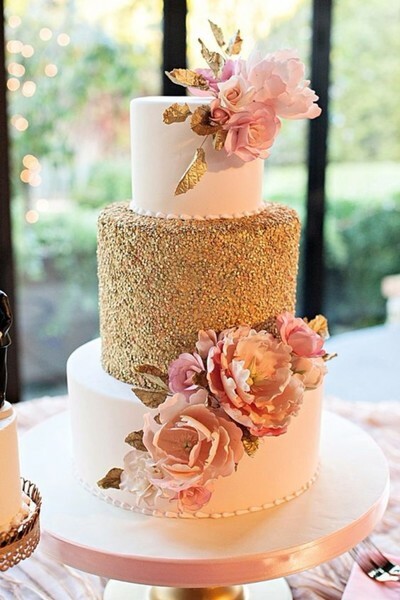 This style goes with any type of wedding and dress. This low, messy updo is the perfect style for someone with shoulder length hair or shorter. The way it is pinned makes it look longer than it is. This is a more playful, feminine look that goes really well on brides who have fringe. The following hairstyles were created by students during the hands on portion of the workshop. Enjoy! Unless you trust yourself to do touch ups, avoid doing a dark or red lip on your wedding day. After a long day, this color of lip is definitely going to need to be touched up, so either be prepared to do that or avoid it all together. About 30% of your makeup will disappear in pictures. You still want to feel like yourself, but don't be afraid to do a little more than normal. You'll be surprised how natural it looks in photos still. For short or fine hair we recommend brides choose textured curly styles which help make them look fuller. We love hair extensions for our brides. They give fullness (and length if needed!) to enhance the style! These days, anything goes when it comes to wedding hair. Don't feel like you have to wear it up or down or curly or whatever anyone else tells you. Brides are mixing all sorts of hairstyles with all sorts of dresses. Just do something timeless that will make you feel like the best version of yourself. Have a hard time holding curl in your hair? Here is an amazing tip! Wash your hair with your regular shampoo once. then wash it again with the same shampoo adding in Baking Soda. No conditioner after the baking soda. The baking soda will cleanse your hair of all product build–up and give it a little texture to hold that curl. Blow-dry your hair thoroughly after. Always have a tissue on hand in case you cry! Blot the tears in the middle of your eye (not the corners) before they roll onto your cheeks.